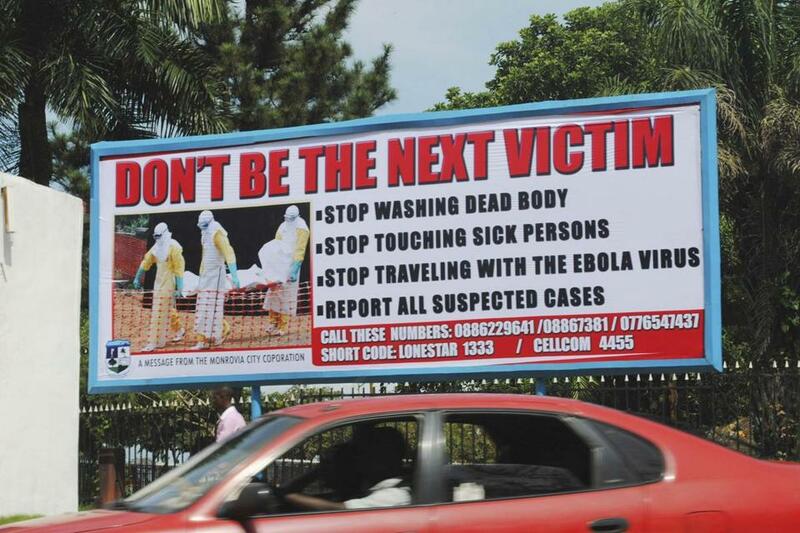 A public health advertisement in Monrovia. In just the past few days, the virus has infected a nurse in Spain and claimed the life of a Liberian man visiting loved ones in Dallas. On Wedneday, US officials announced a new program to screen airline passengers entering the country from West Africa. While the sense of alarm is growing, and the US and European nations are taking more precautions, the likelihood that the illness becomes a global pandemic like HIV/AIDS or the 1918 flu remains small. Yet, the situation in West Africa continues to deteriorate, and it is possible that the virus could claim tens or even hundreds of thousands of lives before it is quelled. Because Ebola is not particularly contagious and those who get it often succumb before they can infect others, past outbreaks of Ebola have not spread very far. • New location. Ebola had been a disease of Central Africa, but this outbreak struck farther west: in Guinea, Sierra Leone, and Liberia. People in those nations have no experience with the disease and health officials have little practice stopping it. • Cities. Urban life has always been an incubator for disease, and that’s true for Ebola as well. West African cities like Monrovia and Freetown, with roughly 1 million people each, have given the virus many more opportunities to move and spread, whereas past outbreaks were confined to less populated, more rural areas. • Poor public health. The majority of recent cases have appeared in Sierra Leone and Liberia, two countries whose infrastructure and public health resources were devastated by war in the 1990s and early 2000s. Just to give a sense of the depletion, in the United States there are about 245 doctors for every 100,000 people. In Liberia, there is just 1per 100,000. • Burial practices. It’s common in parts of West Africa for family-members to wash the bodies of recently deceased relatives and prepare them for burial. Unfortunately, people killed by Ebola are at their most contagious just after death, which means relatives who are performing sacred last rites are also exposing themselves to the disease. • Ineffective international response. The WHO has acknowledged that it could have acted more quickly to confront this Ebola outbreak. Part of its failure may stem from recent budget cuts at the organization. In particular, the WHO budget for “outbreak and crisis response” was cut 51 percent between 2013 and 2014, according to the agency. Tragically, things may get much worse before the outbreak is finally contained. The World Health Organization estimates that there could be as many as 20,000 cases by early November and the Centers for Disease Control has warned that if nothing is done there may be over a million cases by 2015 (though even it finds this worst-case scenario relatively unlikely as other measures — like the US decision to help build testing and treatment facilities in Liberia — are being taken). Outside of the three most-affected nations — Guinea, Liberia, and Sierra Leone — Ebola doesn’t seem to be spreading. Infections reported in the United States and Europe have been quickly arrested. Even more promising, worrisome cases in Nigeria and Senegal were rapidly brought under control. Neither of those countries has seen a new case in over a month. Are any new treatments being used? The current outbreak has given new life and new urgency to researchers and pharmaceutical companies. Vaccines that had been under slow development are being fast-tracked, and treatments that would have been nearly impossible to field test are being used to help suffering individuals. A WHO panel recently gave the green light to “convalescent blood and plasma therapies,” which use the blood of Ebola survivors to boost the immunity of infected patients. Because survivors of Ebola have Ebola-fighting antibodies in their blood, it is thought that giving some of those antibodies to infected individuals will help them resist the virus. Are you sure the outbreak won’t spread to the US? Ebola really isn’t that contagious. It doesn’t jump readily from person to person, and even when it does, the newly infected individual isn’t generally contagious for at least a week — and not until they start showing symptoms. Put all that together, and it gives a developed country like the United States more than enough time to detect, isolate, and stop any potential outbreak. That doesn’t mean there won’t be more cases, and potentially more disruption (closed schools or further precautions at airports). But this germ that kills 70 percent of the people it touches isn’t likely to wend its way through American cities. The same can’t be said in places with just one or two doctors for every 100,000 people. There, Ebola has found a terrible new home. 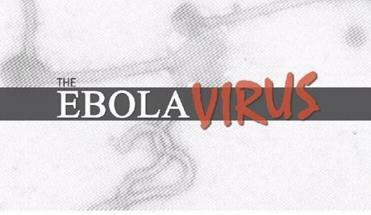 And despite attracting the attention of the entire world, the virus seems poised to claim many more lives.